All children love to colour. It satisfies their creative thirst and also helps them to recognize the colours. 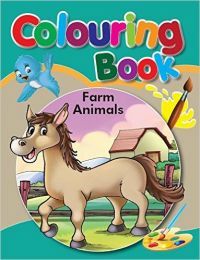 This book of on farm animals helps the children not only to learn the art of colouring animals, but also the recognition of the same.